Know someone who doesn't read a sidewalk sign? Nope. We all do.. get yours today. Your patrons will see your message from either direction- & they just may stop in rather than walk by! A-Frame chalkboard sign. Beautiful solid oak wood frame with hinged top. Available in 5 standard finishes. Call today! Dimensions: 24" x 36" chalkboard on each side. PLACE YOUR ORDER FOR MAHOGANY ON THIS PAGE, DIRECTLY ABOVE. Your new sandwich sign is fairly heavy, weighing in at 27 lbs. That's because it's a quality product, made with strong & solid materials. Additionally, because it's big and beautiful- 24" x 36", it must go into a package that UPS considers "oversized." 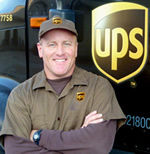 These two factors result in higher than average UPS costs, based on a UPS-designated 'dimensional weight' of 49.2 lbs. They range from approximately $25 to $60 for each sign, depending upon where you are in the United States- cheapest on the East Coast, & more expensive the further west you are. Shipping to Canada, Alaska, Hawaii, Puerto Rico, USVI & elsewhere is a bit higher than that. But fear not, our cost to you will be the actual UPS charge- not padded or inflated- & the lowest price we can arrange due to volume shipping capacity. Also, if you have a UPS or FedEx account, your shipping cost can be charged directly to your account. UPS charges will be advised in writing & approved by you BEFORE your credit card is charged, or your order processed. Please note: Every board is custom made per your order, and therefore non-returnable. 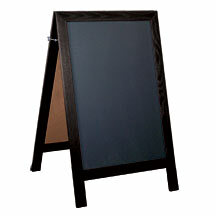 MAHOGANY A-Frame chalkboard sign for restaurants. Now! 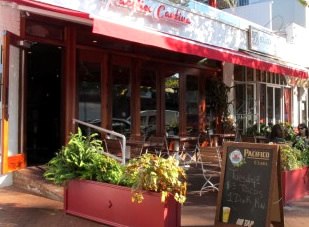 Enjoy a new, smart, quality USA manufactured restaurant grade sidewalk board.. Get your message out-front.. literally! Your beautiful MAHOGANY solid-oak wood-frame sandwich sign features a hinged top to easily swing open. 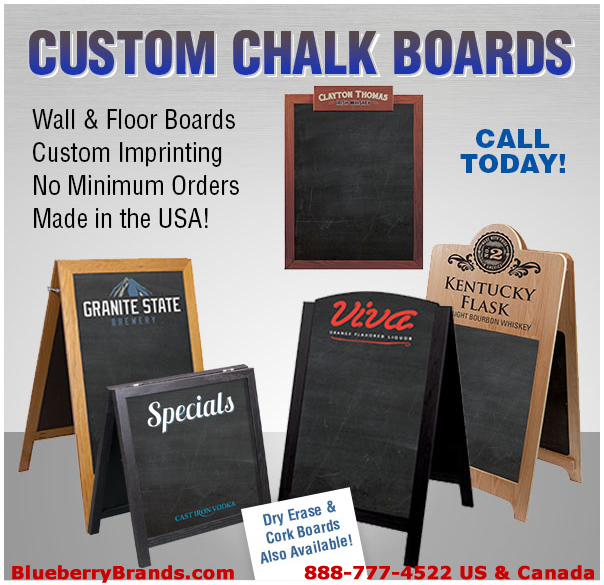 The elegant 24 x 36 chalkboard displays your specials & plats du jour on each side, & provides ample room to display current promotions/news. You craft your message on this one with white, and/or colored chalks. Wipes clean easily and quickly when ready for a new message. Dimensions: 24" x 36" on each side. Made in the USA. Available finishes: Light Oak, Cherry, Mahogany, Golden Oak and Black. 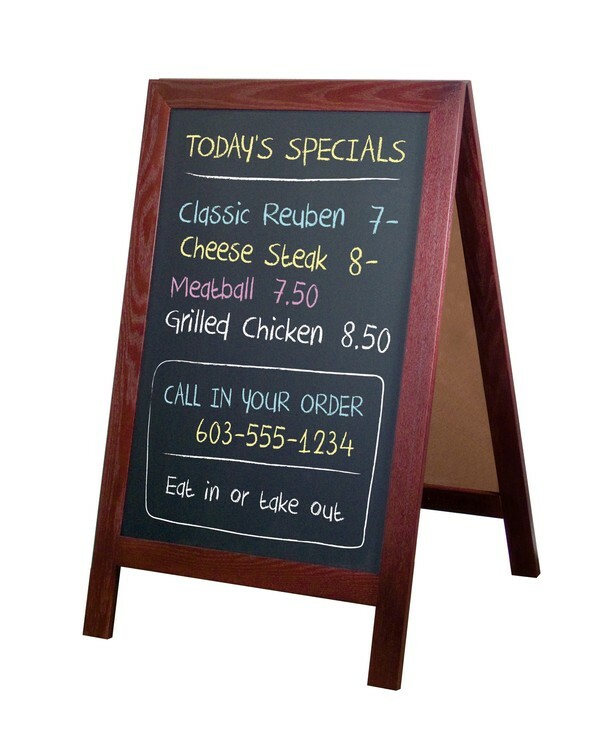 You are purchasing a high-quality restaurant-grade CHALKBOARD sandwich sign. Please do on not mistake this with cheaply constructed fluorescent-pen write-on wipe-off boards. Here's a product that pays for itself the first day you put it out.. no kidding. <<< Place your order for MAHOGANY on this page. Find 50 styles of menu covers, menu jackets, & menu folders. View the lowest-priced cafe menu covers right now. Select quality H Risch menu covers. MenuCoverMan.com is among the top suppliers of quality menu covers in the United States and Canada. Tarifold Organizers deliver a wide selection of functional office & warehouse products to increase your efficiency. Your source for Flash Furniture products. Safco flat files are in stock. Large document storage is easier, & quality is tops. You'll find great values for all large document storage products: hanging clamps, mobile racks, wall racks, blueprint storage & Ulrich Planfiling cabinets.